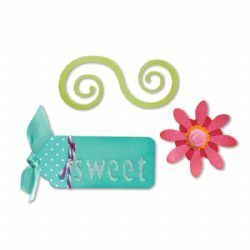 Sizzlits Decorative Sets are simple to use, compact and portable for creating at home or on the go. Designed to cut a single sheet of cardstock, paper, metallic foil or vellum, these complementary die sets offer an endless array of design possibilities. This Die Set includes these designs: Swirl #3; Tag w/Phrase, Sweet; Flower Layers #13. 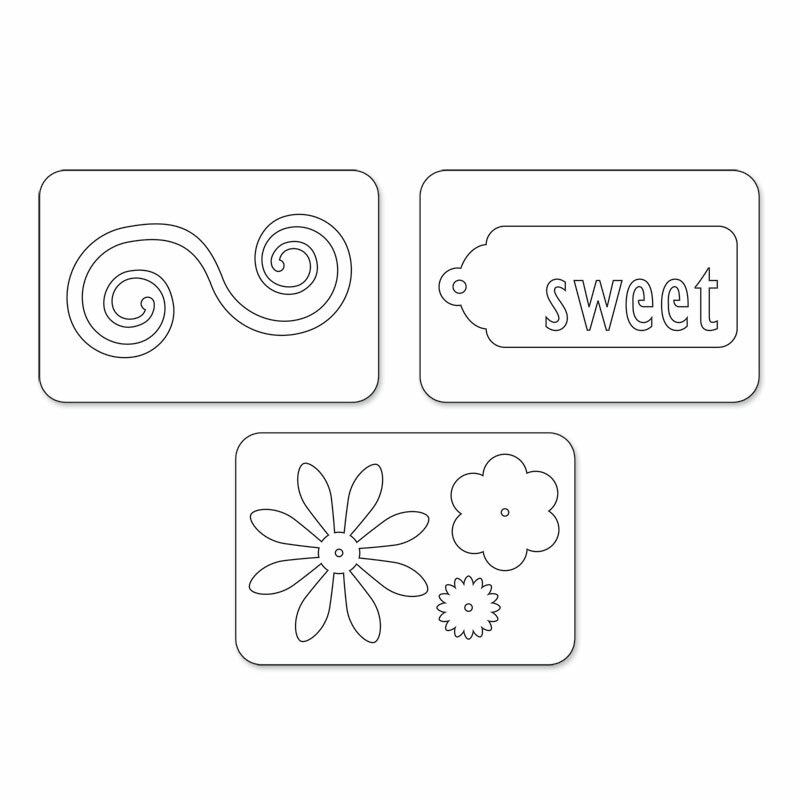 Design Dimensions 5/8" x 5/8" - 1 1/2" x 3"